Four hundred more stitches put in. It has been fun working on this, but I am ready to put it away for a little while. 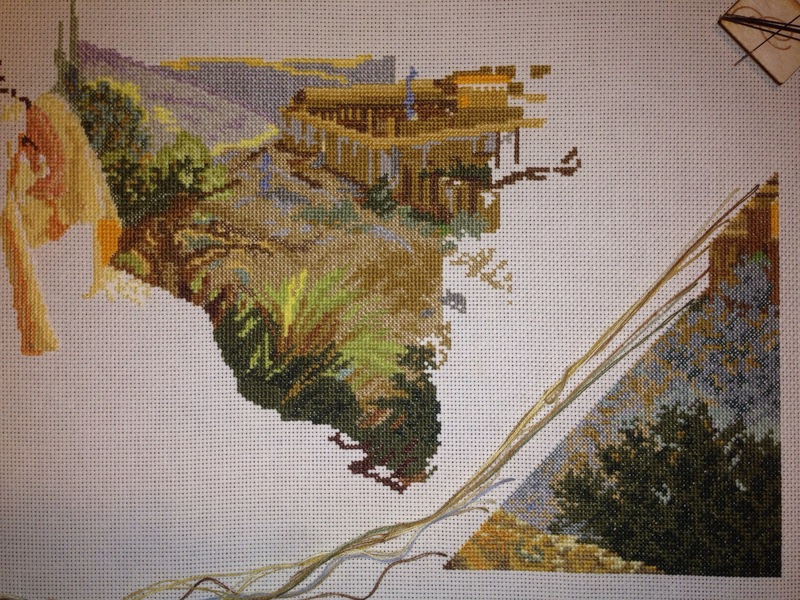 Working on the city is a welcome change from working on the Kidron Valley. 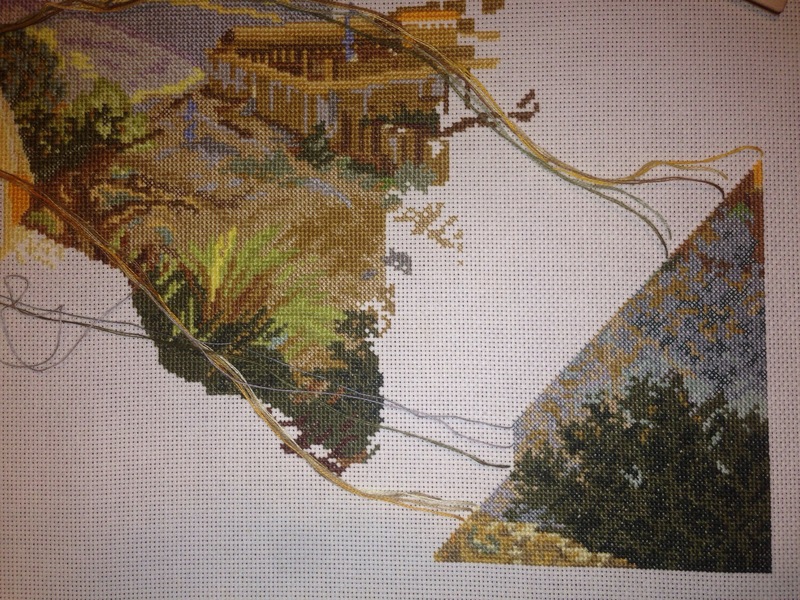 The grey and brown of the valley was getting to me, but it was a relief to work on the top of the next diagonal.